Elvin in Alameda, CA – ADOPTED! 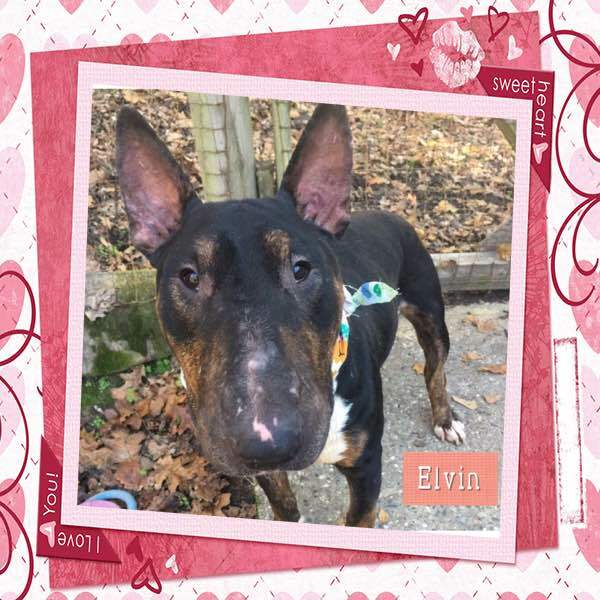 | Bull Terrier Rescue, Inc.
Elvin in Alameda, CA – ADOPTED! Elvin was a stray who arrived with lacerations on his face, body and legs. He has recovered nicely so he is now ready for his forever home. Elvin is a precious guy who is great with most dogs – he is simply indifferent to them. He’s a mellow guy who loves napping and spending time by your time. He’s been wonderful with the resident female Bull Terrier in his foster home. This precious guy is about 4-5 years old and about 45lbs; he is crate, leash and house trained. If your information is not yet on file, please complete our application which can be found here: http://www.bullterrierrescue.org/?page_id=572. This entry was posted in Adopted, Available Males by Susi Ming. Bookmark the permalink.